Kuşadası is one of the most beautiful and famous places for recreation and fun holidays. Today it is one of the most sophisticated holiday resorts in Turkey. Ephesus which was established as a port was used to be the most important commercial centre. It played a great role in the ancient times with its strategic location. Ephesus is located on a very fertile valley. 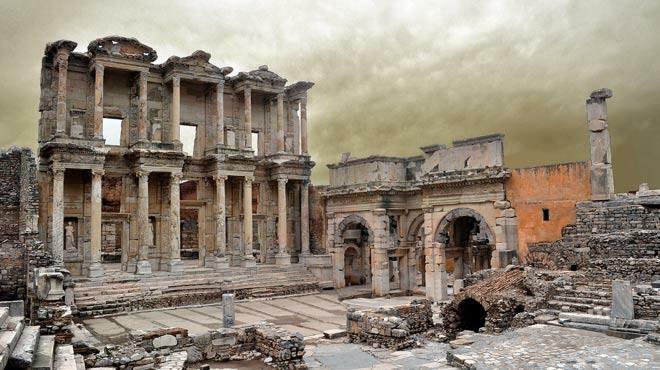 Ephesus, once, the trade centre of the ancient world, a religious centre of the early Christianity and today, Ephesus is an important tourism centre in Turkey. The ancient city Ephesus is located in Selcuk, a small town 30 km away from Kusadasi.